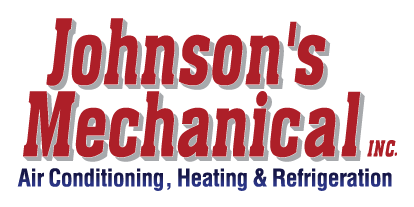 AC Repair, Lakeland, FL | Johnson's Mechanical Inc. AC Repair, Lakeland, FL | Johnson's Mechanical Inc.
We are proud to service all major brands when AC repair becomes a priority in Lakeland. Cooling your home properly can pose some challenges, especially if you aren’t sure about the last time someone came to service your system. Having to call for AC repair during the hottest part of the year is never anyone’s idea of a good day – and it can be hard to find the right company that you can trust. If you are looking for a company that has the experience and services to help you with AC repair in Lakeland, Florida, you will have come to the right place when you call us at Johnson’s Mechanical Inc. Maintenance – Making sure you schedule preventative maintenance for your HVAC system is often the best way to avoid needing unexpected AC repair at your home. We offer maintenance programs and servicing so your system keeps running its best. All Major Brands – Whether you purchased your air conditioning system one year ago or ten years ago, we are proud to service all major brands when AC repair becomes a priority. We have the experience to answer your questions and get your AC running again if you need help figuring out what to do to keep cool. Customer Care – At Johnson’s Mechanical Inc., we believe in an honest approach to customer care, and our professionals don’t earn commission. That means we won’t up-sell you on our services and will make sure you get what you need without any pressure tactics. When you call us for AC repair, you’ll find that our convenient 24-hour emergency service and professional team members make us your go-to choice for all your HVAC servicing needs. At Johnson’s Mechanical Inc., we have everything you need, and our honest approach and the integrity of our work can’t be beat. Contact us today to learn more about how we can assist you with AC repair and much more.